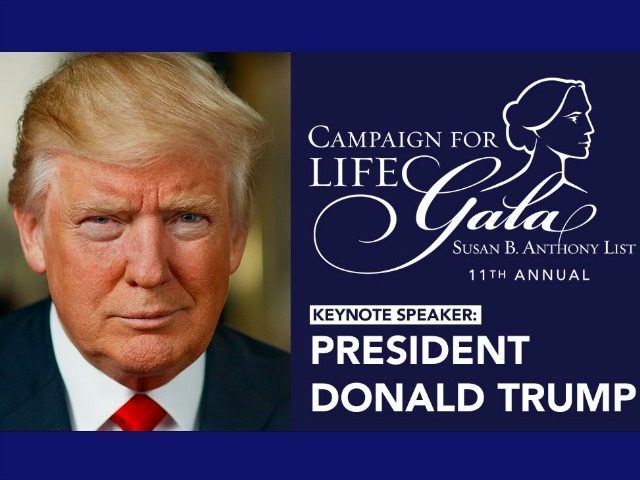 President Donald Trump will keynote the Susan B. Anthony List’s (SBA List) annual Campaign for Life Gala on May 22, the national pro-life organization has announced. The gala, which will take place at the National Building Museum in Washington, DC, will also honor Kellyanne Conway, Counselor to the President, who will be the recipient of the 2018 Distinguished Leader Award. Longstanding pro-life advocate Kathy Ireland will serve as the gala’s mistress of ceremonies and House Majority Whip Steve Scalise, a Republican from Louisiana, will address attendees as well. Dannenfelser said since the 2016 election cycle, when SBA List canvassers visited some 1.1 million voters as part of their get-out-the-vote effort, the canvassers have redoubled their efforts for the 2018 midterm election. 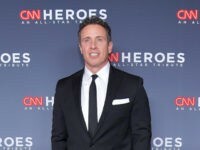 The pro-life leader said the 2018 elections are “the most important election for the pro-life movement since Roe v. Wade,” in 1973, when the U.S. Supreme Court created a right to abortion – though none ever existed in the Constitution. At the annual March for Life in January, national pro-life leaders praised Trump and his administration for being “100 percent true” to his campaign promises. The president became the first sitting president of the United States to address the March live via satellite from the White House. In 2013, former President Barack Obama became the first sitting president to address Planned Parenthood, the nation’s largest abortion provider. At a gala celebrating the abortion vendor’s 100th anniversary, Obama encouraged Planned Parenthood supporters to continue to fight for abortion rights. Planned Parenthood’s 2016-2017 annual report shows the group continues to perform over 320,000 abortions per year while offering no mammograms and minimal prenatal services to pregnant women. In December, the U.S. Department of Justice launched a formal investigation into Planned Parenthood over its alleged sale of the body parts of babies aborted in its clinics for a profit. Dannenfelser views Trump as an ally to babies and their mothers, as well as American taxpayers. “Unborn children, their mothers, and pro-life taxpayers could not have a stronger ally in the White House than President Trump, and we look forward to the many victories we can achieve together,” she said.